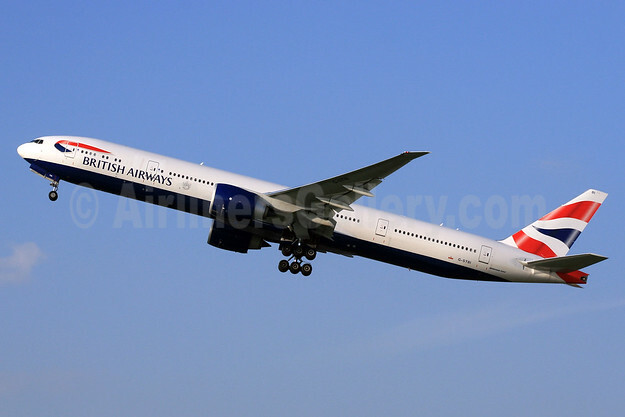 British Airways will launch the only nonstop service between London (Heathrow) and Nashville starting on May 4. For a taste of the deep south the airline will be serving traditional hot chicken on flights from Nashville to Heathrow Terminal 5 in all cabins until June 4. 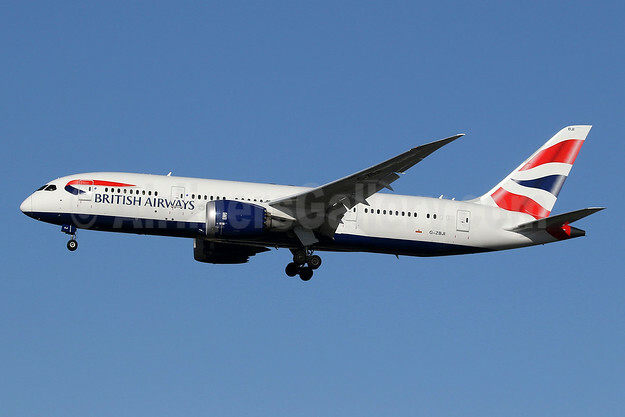 Top Copyright Photo (all others by British Airways): British Airways Boeing 787-8 Dreamliner G-ZBJI (msn 60626) LHR (SPA). Image: 940955. This entry was posted in British Airways and tagged Boeing 787-8 Dreamliner, British Airways, G-ZBJI, LHR, msn 60626 on May 2, 2018 by Bruce Drum. Icelandair has announced the return of their international flights from Baltimore-Washington International Airport (BWI) to Iceland and beyond. Flight 642 will begin seasonal service on May 28, 2018 with four nonstop flights a week to Iceland on Mondays, Tuesdays, Fridays and Sundays, and easy connections to and from more than 25 destinations in Europe. BWI service will be in addition to Icelandair’s ongoing flights from Washington-Dulles, and will increase the options when flying Internationally to and from the Baltimore-Washington corridor. 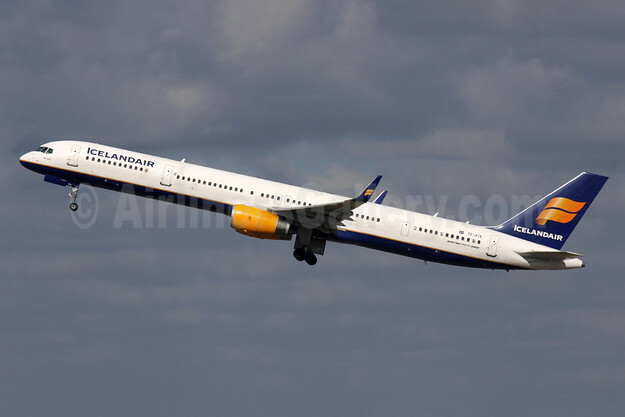 Copyright Photo: Icelandair Boeing 757-308 WL TF-FIX (msn 29434) LHR (Antony J. Best). Image: 909469. This entry was posted in Icelandair and tagged Boeing 757-308 WL, Icelandair, LHR, msn 29434, TF-FIX on January 10, 2018 by Bruce Drum. 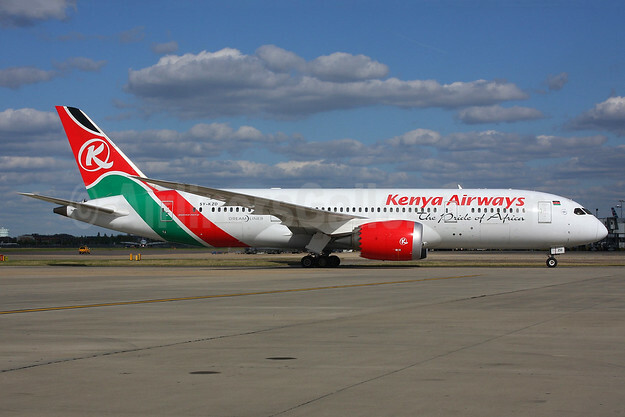 Kenya Airways (Nairobi) is planning to launch nonstop Nairobi – New York (JFK) daily flights on October 28, 2018. 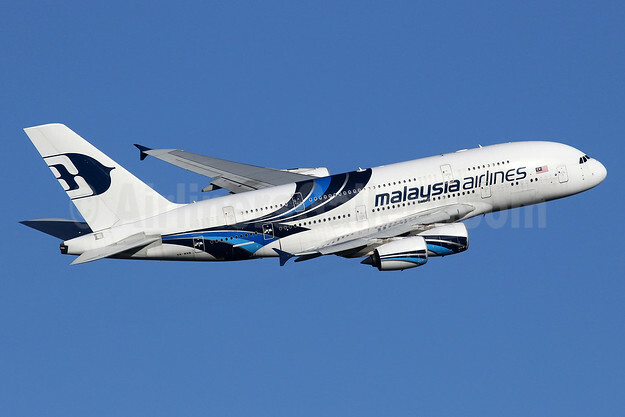 The new route will be operated with Boeing 787-8 Dreamliners. Kenya Airways on January 11, 2018 marks a great milestone with the launch of a nonstop flight from Nairobi to New York. The national carrier starts selling tickets for the inaugural flight which is scheduled for October 28, 2018. Kenya Airways becomes the first airline to offer a nonstop flight between East Africa and the United States of America. It will be the fastest connection from East Africa to New York, with a 15 hours duration eastbound and 14 hours westbound. The ultra-long-haul flight, unique to Kenya Airways network, will require 4 Pilots and 12 Flight attendants as well as 85 tons of fuel each way, making it an exceptional operation. The airline will operate its state of the art Boeing 787 Dreamliner with a capacity of 234 passengers. The flight will depart every day from Jomo Kenyatta International Airport hub in Nairobi at 23:25 arriving at JFK airport in New York at 06:25 the following day. From New York it will depart at 12:25 landing at JKIA at 10:55 the following day. Copyright Photo: Kenya Airways Boeing 787-8 Dreamliner 5Y-KZD (msn 36041) LHR (SPA). Image: 926608. This entry was posted in Kenya Airways and tagged 5Y-KZD, Boeing 787-8 Dreamliner, Kenya Airways, LHR, msn 36041 on January 10, 2018 by Bruce Drum. Etihad Aviation Group (EAG) has announced a year-long program of activities and humanitarian initiatives to mark 2018 as the Year of Zayed. Etihad’s headquarters in Abu Dhabi inaugurated its Year of Zayed activities by holding a flag-raising ceremony attended by employees. The aviation group’s offices and buildings around the world are now adorned with Sheikh Zayed’s inspiring quote: “The union is our ticket to power and prosperity”. The UAE President His Highness Sheikh Khalifa bin Zayed Al Nahyan declared 2018 the Year of Zayed, a nationwide initiative, which will highlight the UAE founding father’s unparalleled role in establishing the UAE Federation, and his local, regional and international achievements as well as his values and principles. To celebrate the event, Etihad has released a short film (below) titled ’Running Boy’ to honor Sheikh Zayed’s legacy of human development in the UAE. The film follows a boy who runs through surroundings, which change through the years in celebration of the 46 years that have passed since the inception of the UAE. 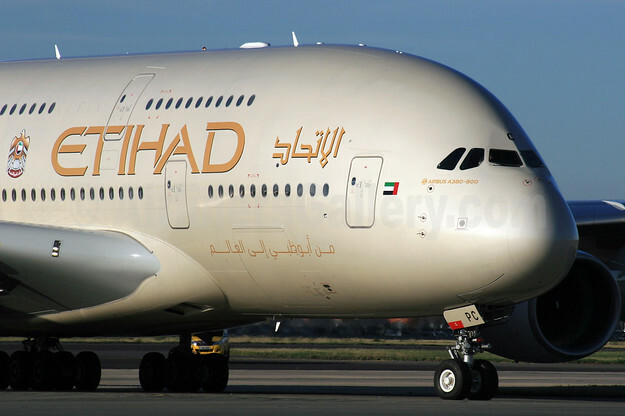 Top Copyright Photo (all others by Etihad Airways): Etihad Airways Airbus A380-861 A6-APC (msn 176) LHR (SPA). Image: 928998. This entry was posted in Etihad Airways and tagged A6-APC, Airbus A380-861, Etihad Airways, LHR, msn 176 on January 6, 2018 by Bruce Drum. Air China (Beijing) is restoring the Beijing – Copenhagen route on May 30, 2018. The restored route will be operated four days a week with Airbus A330-200s. Air China Limited (Air China) will begin nonstop flights between Beijing and Copenhagen from May 30, 2018. The new Beijing–Copenhagen service will bring the total number of routes to 27, with an offering of 300 flights per week to 20 major European destinations, including London, Paris, Frankfurt, Munich, Vienna, Rome, Moscow, Barcelona, Madrid, Zurich and Stockholm, all serviced by wide-body aircraft. The Beijing–Copenhagen route number is CA877/8 and has four flights per week, scheduled for Mondays, Wednesdays, Fridays and Sundays. The outbound flight departs Beijing at 02:55 and arrives in Copenhagen at 06:45; The inbound flight departs Copenhagen at 13:15 and arrives in Beijing at 04:10 (all times are local). All flights use the Airbus A330-200. 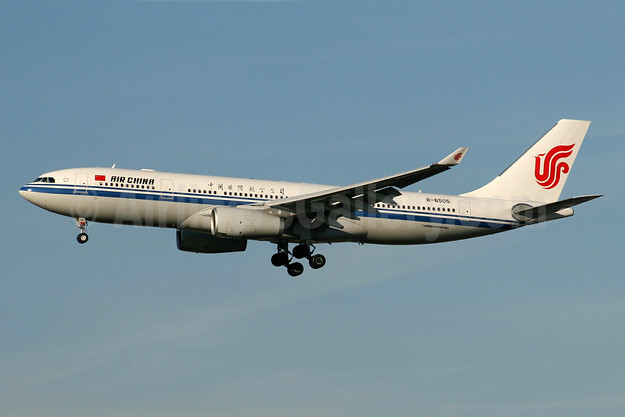 Copyright Photo: Air China Air China Airbus A330-243 B-6505 (msn 957) LHR (SPA). Image: 936939. (SPA). Image: 936939. This entry was posted in Air China and tagged Air China, Airbus A330-243, B-6505, Copenhagen, LHR, msn 957 on January 6, 2018 by Bruce Drum.